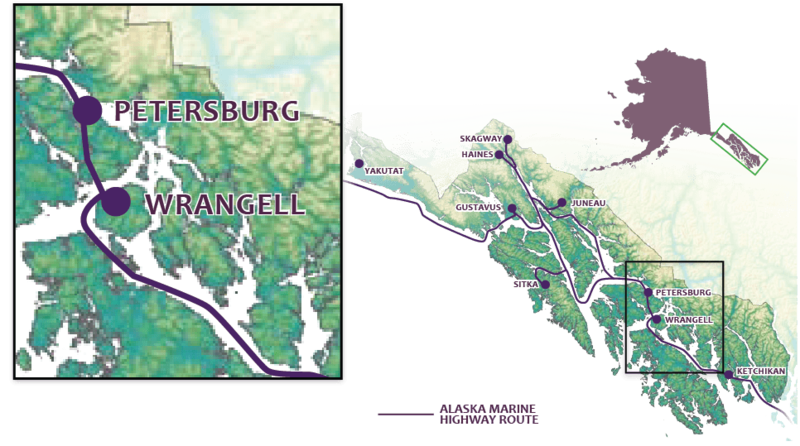 Did you know that Wrangell is the only community in Alaska to have been ruled by four Nations, under three flags: Tlingit Indian Nation, Russia, Great Britain and the United States? Perhaps as far back as 8,000 years ago, native inhabitants at the time carved ancient symbols in rock at what is now Wrangell’s Petroglyph Beach State Historic Park, easily explored at low tide. A quick walk through downtown and across a footbridge in the inner harbor will bring you to Chief Shakes Island and Tribal House. Surrounded by carved totems, this site offers a glimpse into the Tlingit way of life. Wrangell has experienced the boom and bust cycles of the gold rush, fur and trapping, commercial fishing and timber; and the Wrangell Museum, located in the Nolan Center, offers an interactive walk through the city’s colorful history.